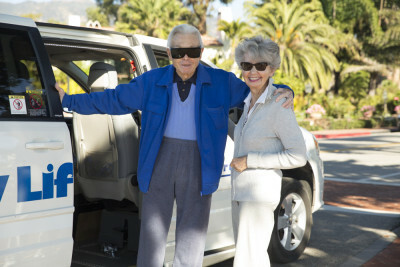 Dial-A-Ride (DAR) started in 1979 as a project of the local Easter Seals and is Easy Lift’s most commonly known service. To be eligible, clients must be physically or cognitively unable to ride MTD. Our DAR program is subsidized through donations, grants, and public transit monies. Passengers pay only $3.50 for each one-way ride. DAR trips are scheduled on a first call, first served basis. No program or person may be given priority on DAR. No priority is given based on trip purpose. Winchester Canyon to Carpinteria within 3/4 mile of fixed route (MTD) operator’s stops. or please contact us at (805) 681-1181.